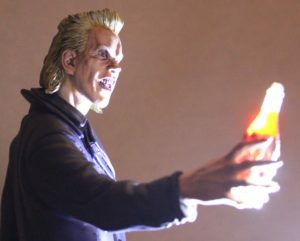 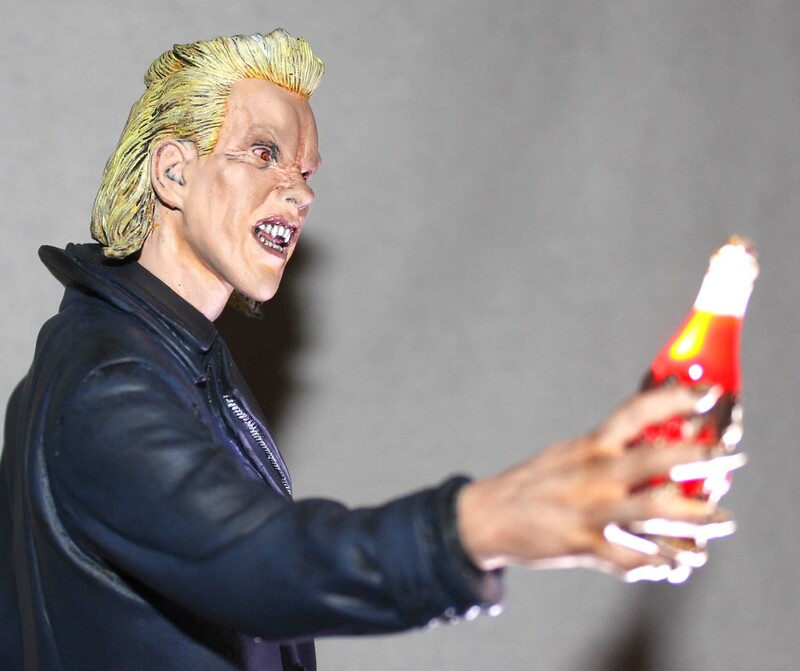 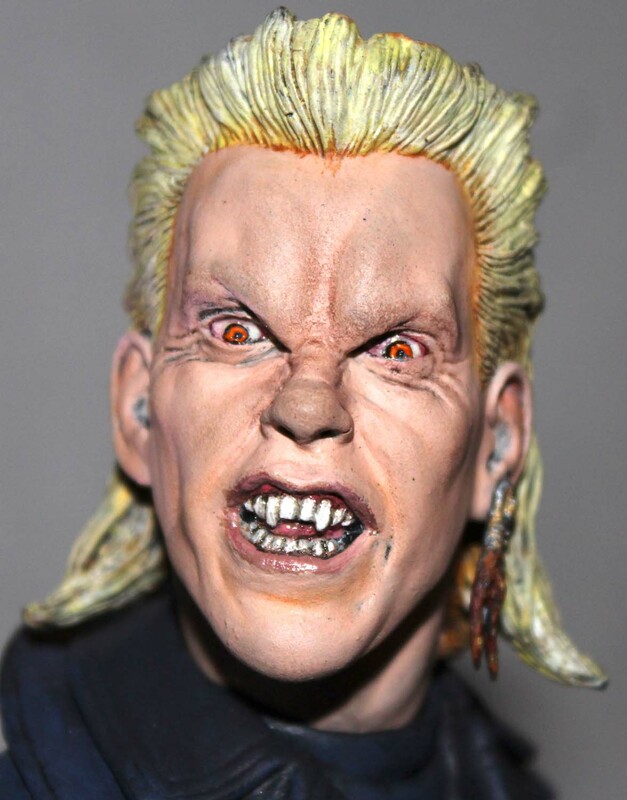 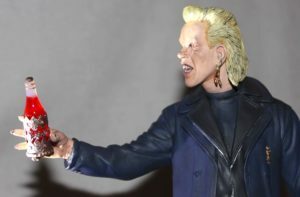 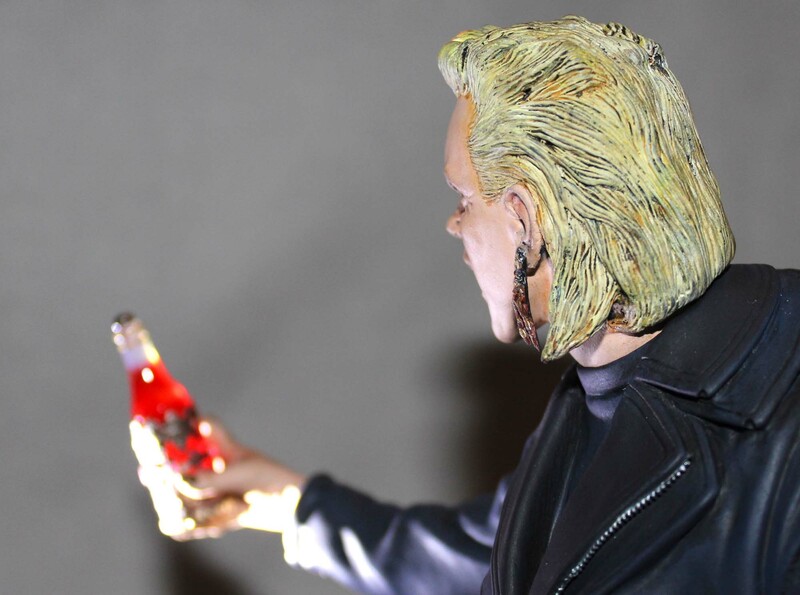 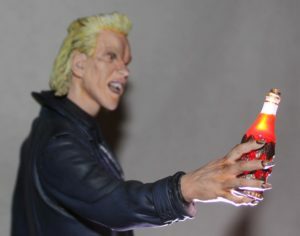 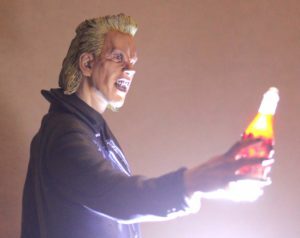 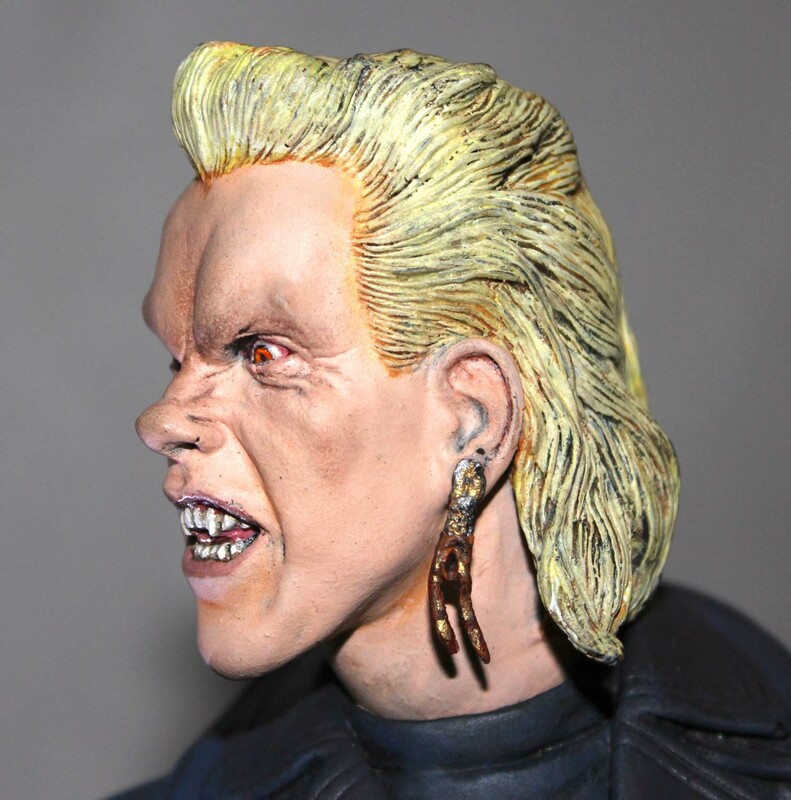 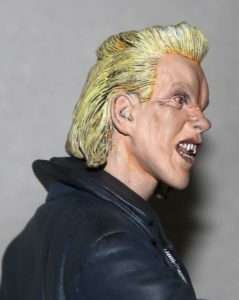 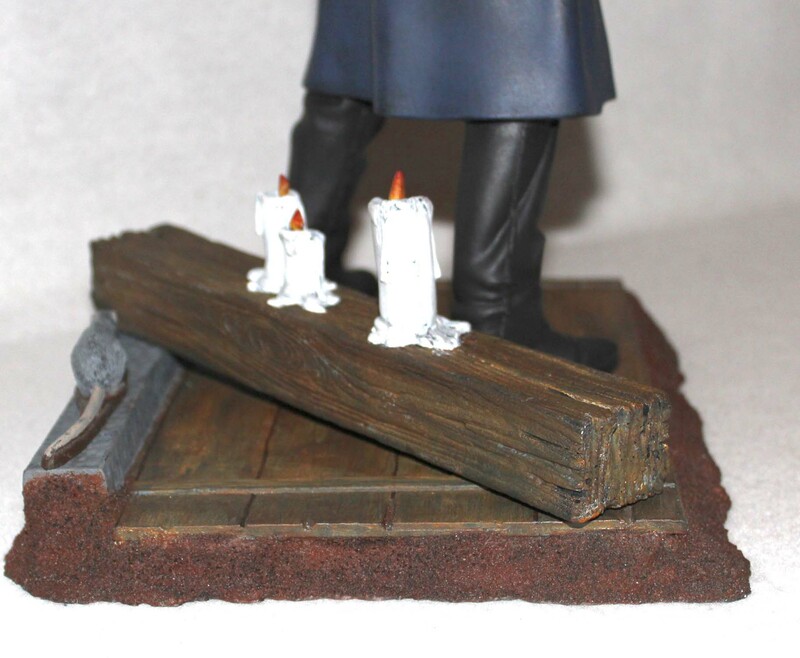 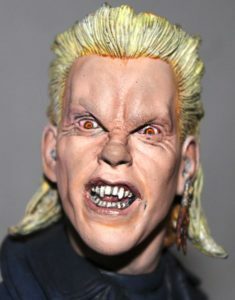 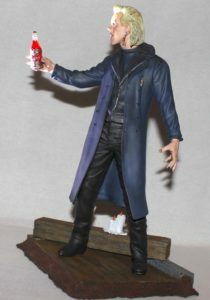 The Lost Boys is a favorite film of mine and this rendition of vampire, David, played by Kiefer Sutherland, is expertly rendered by Kevin Yagher and released by Tower of London and X-O Facto. 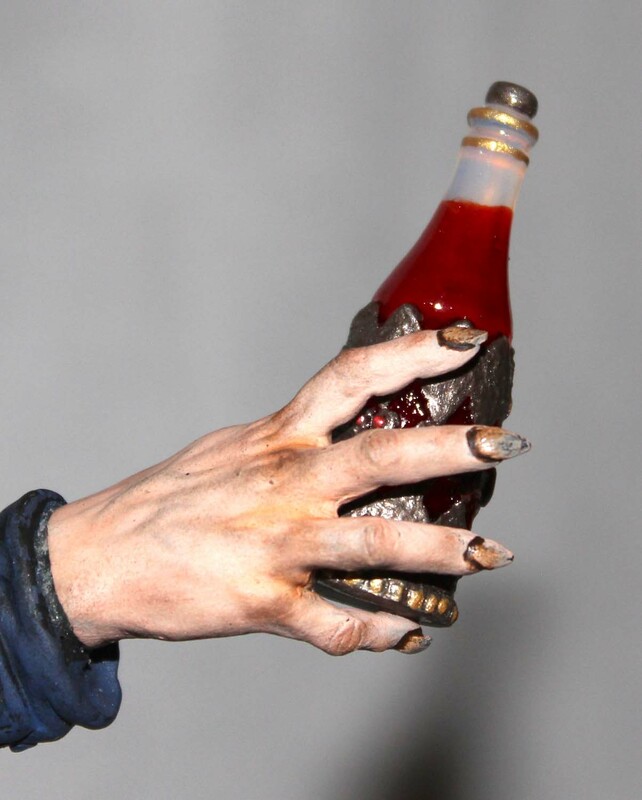 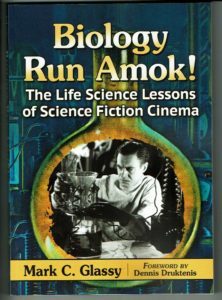 The build-up was straightforward with the ‘blood bottle’ being the real challenge. 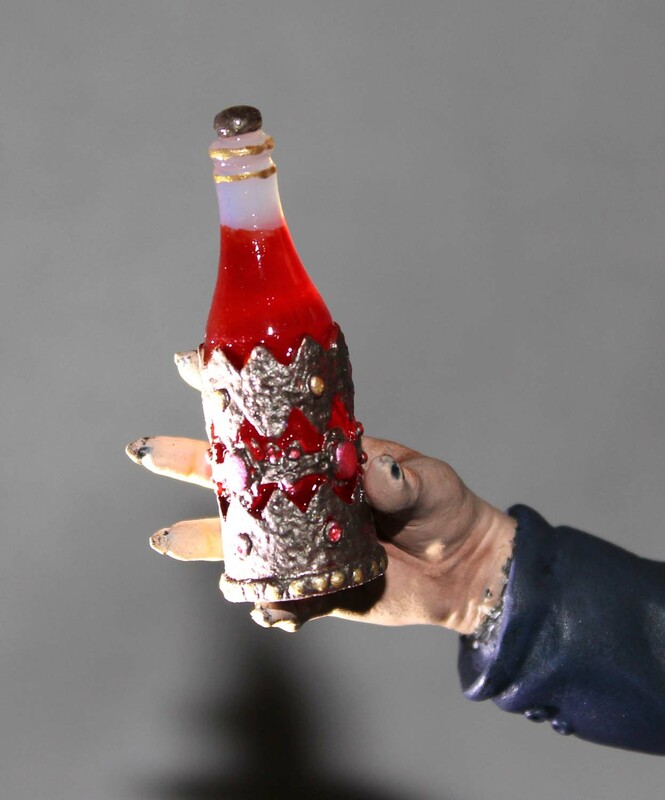 The clear cast part was immersed in transparent red and after drying was detailed with antique silver and various pearlescent colors for the gems around the bottle. 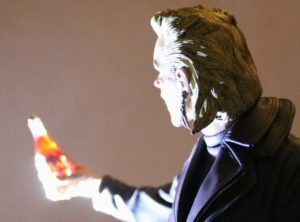 When lit the bottle does have an eerie glow to it.